A doctor who was at Memorial Medical Center in the days after Hurricane Katrina has filed a federal libel suit claiming an article published in The New York Times Magazine in August defamed him by suggesting he knew of euthanasia at the hospital and failed to stop it. Shall we say, with some apparent reluctance, Judge Walker issued an Order granting plaintiff’s Motion to Amend? Before the Court is Plaintiffs’ July 13, 2009 motion to amend their complaint to add proposed class action allegations against USAA Casualty Insurance Company (USAA) for failing to properly pay its insureds general contractor’s overhead and profit…The Court having considered the motion pleadings and argument of the parties finds that in light of the liberal standard applicable to amended pleadings, the fact that the motion to amend was timely filed under the case management order, and discovery is ongoing, the Court finds insufficient basis for denying the motion. It is therefore, ORDERED that Plaintiffs’ motion to amend the complaint is granted, this the 19th day of October, 2009. During his historic run for the presidency, Barack Obama’s campaign consistently outmaneuvered the opposition, whether fellow Democrats in his party primary or John McCain in the general election. He was engaged, decisive, and especially in tune with the mood of the electorate and its sense of national priorities. Time and time again he invoked the image of Republican failure in handling Katrina’s impact on a vast Gulf Coast population. Fast-forward nine months into his presidency, and President Barack Obama has made his first post-inauguration visit to New Orleans — a visit that seemed to many more like a drive-through or photo op. Irreverently insightful and, at times, just so damn funny I laughed aloud, Editillia does us proud. We were all set to see our Hope Vote validated this past 8/29 Anniversary, but His O’ner blew our Holy Day in The City The Corps Forgot to go on vacation after only 6 months on the job and play golf at a Rich People’s Place. Thus we saw the ‘Hope’ first begin to uncoil. Then we heard about the White House trip to the Gulf, a 3 Hour Tinkle-Stop Tour, to check on the status of Hurricane Katrina recovery by A) Not going to Mississippi where Katrina actually hit, causing total devastation, and B) Going to New Orleans where Katrina did not hit and did not cause our total devastation –thence we saw the ‘A’ -hidden behind his back, a foreign object. Then the Big Show finally arrives amidst obvious disregard and Presidential hubris that we should all be so grateful the president took the time to come and blow smoke up our asses and use our wounded city to Campaign for his Health Care/Economic Thingy. Cresent City Ray sent in both the annoucment of the Cat 5 rally and a guest post thus the balance of this entry is courtesy of our friend Ray. (Gene has the insurance thing covered in the next post). Invite schools, friends, neighbors and the press. Thanks for any help making this happen. This is a consolidated appeal of the district court’s dismissal of claims against Jefferson Parish, Louisiana in two cases concerning property damage from flooding that occurred as a result of the levee breaches in New Orleans during Hurricane Katrina.The plaintiffs-appellants, property owners in Jefferson Parish and Orleans Parish, allege that the property damage resulted from deficiencies in the New Orleans flood protection system. 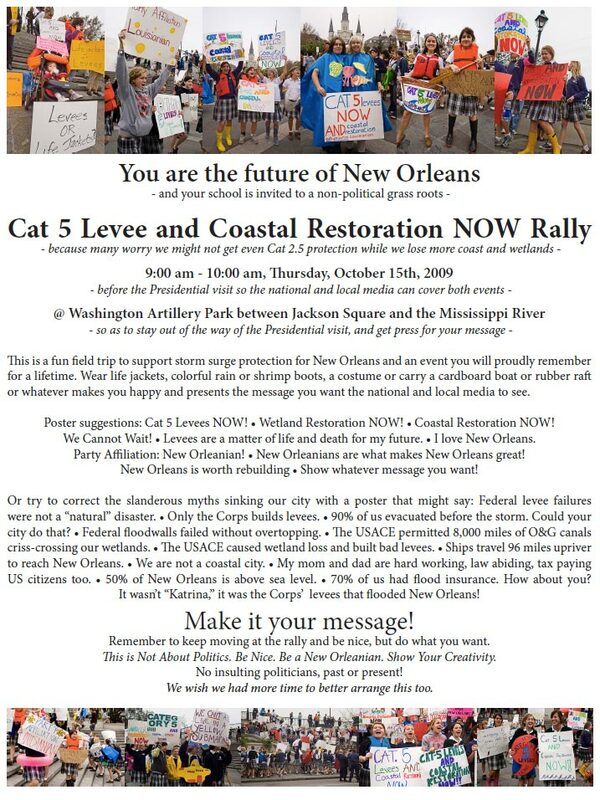 In their original complaints, filed on August 28, 2006, the plaintiffs-appellants named as defendants the Board of Commissioners of the Orleans Levee District, the Board of Commissioners of the Port of New Orleans, the Sewerage & Water Board of New Orleans, the East Jefferson Levee District, Jefferson Parish, and the Louisiana Department of Transportation and Development. 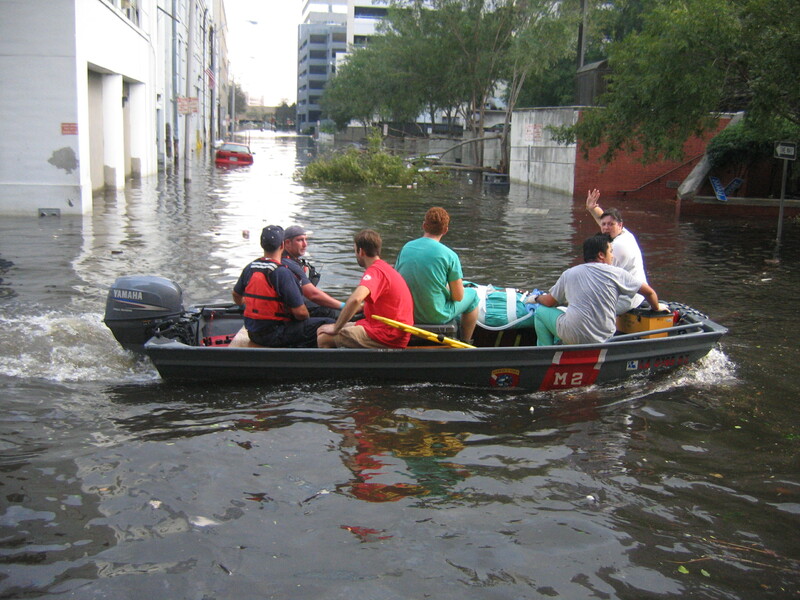 Editilla asks What if Hurricane Katrina impacted your city? If hanging on the Ladder, a click of the headline will take you to a set of incredible maps showing the impact of a Hurricane Katrina on other cities – Washington, D.C. for example (shown below) – and, if you keep scrolling down, you’ll find the radar map of Katrina making landfall on the Coast and see tornado after tornado on the coast (the ones that didn’t exist to insurance companies). 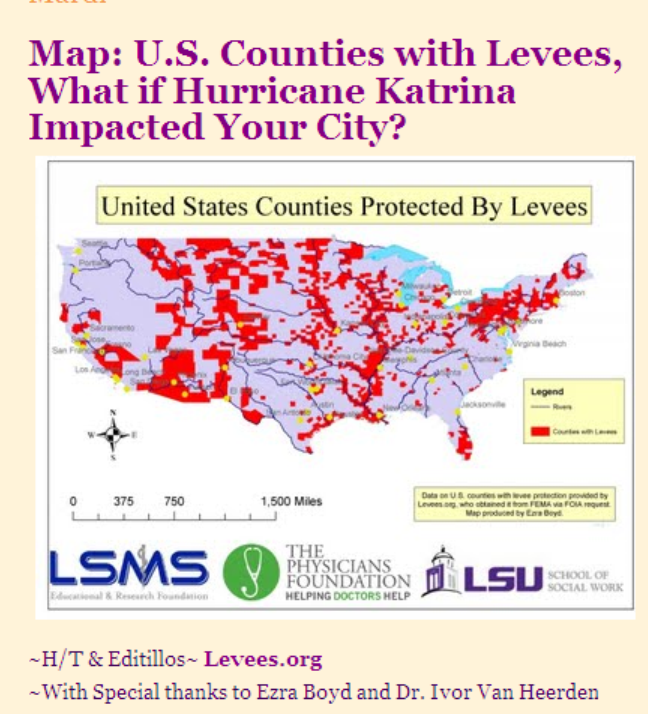 Author Posted on October 6, 2009 Categories Flood Insurance, Hurricane Katrina, NFIPTags Hurricane Katrina, US counties with levees5 Comments on Editilla asks What if Hurricane Katrina impacted your city? And this little piggy went “Wee wee wee” all the way home. Evidence was produced showing State Farm staged the mediations in advance and actively concealed material evidence from homeowners during the “mediation” process. Q. Do you recall being involved…in putting on mock mediation? A. We did put on mock mediation, that is correct. Q. Do you remember you doing anything related to that? Q. What part did you play?